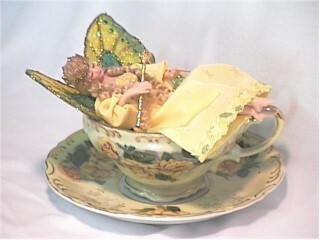 Fairy Princess Rose is napping in her collectable Lefton China teacup. She is attired in her handmade yellow gown with her tiny crown and gilded scepter. 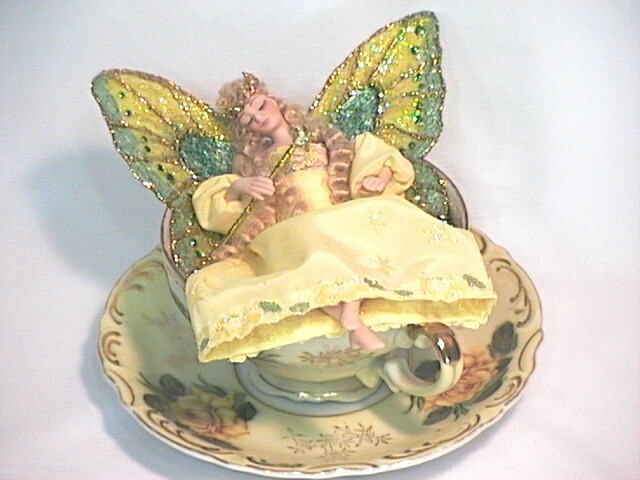 Her handmade wings coordinate with her dress and teacup colors. 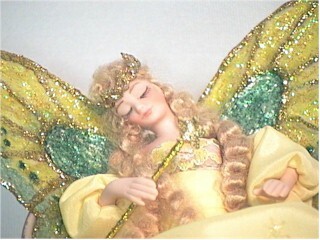 Princess Rose is a handpainted porcelain miniature fairy doll, about 5 1/2" tall from head to foot. Her wingspan is 4 1/2". The Lefton China teacup is a valuable collectable by itself. This extraordinary, one of a kind work of art was created by the artist JoAnnJ of Galleria d'Juliani, and is hand signed by her.